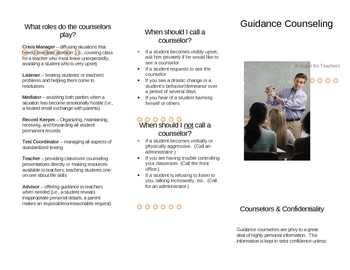 This brochure outlines the general duties and policies for school counselors. It includes a counselors' yearly calendar, a statement about confidentiality, and guidelines for teachers regarding when to call (or not call!) the counselor.